Diaper rash is a common and easily treatable part of a baby’s life. Trusted by more pediatricians and moms than any other brand, DESITIN creates a barrier to relieve the discomfort of diaper rash on contact and establish the ideal soothing, healing environment. 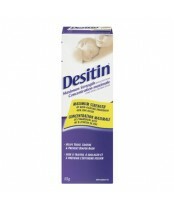 Nothing works faster than DESITIN at providing diaper rash relief.